Karela is not liked by too many peoples but its too healthy and if you make it by following these steps sure you love karela. We Sindhi making Karela recipe in different ways. 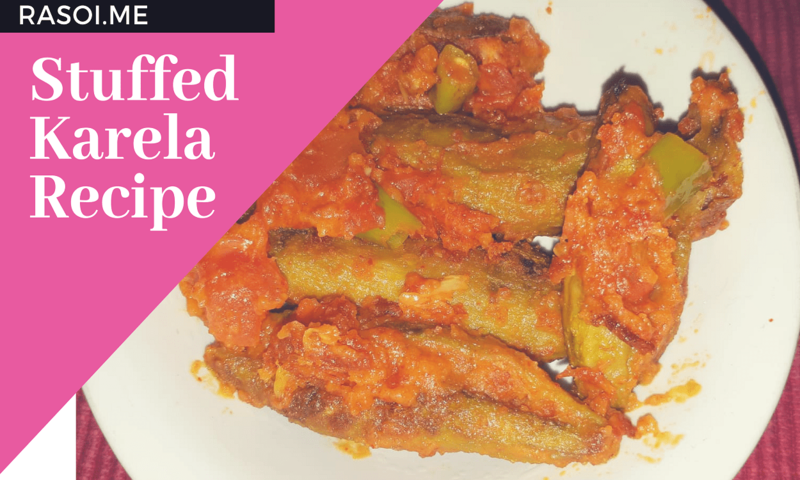 Today I am sharing भरवां_करेले recipe| Sindhi special stuffed karela recipe Rasoi.me. Must try this instant recipe and healthy recipe at home. subscribe my channel today for new recipes. Heat oil in kadhai before frying the karela. Wash it 3-4 times remove extra salt. Fry the all karela as shown in video. Make stuffing with Gram flour/ Besan and chopped garlic, red chilies powder, salt mix it all and its ready. We stuff this stuffing in karela's. Karelas sruffing done. Put it into plate. we make gravy Heat oil in kadhai add chopped tomatoes and green chilies saute in for 5 minutes add half tsp salt, half tsp red chillies powder mix it. Add the stuffed karela in tomato gravy Add half cup water. And saute it for 5 minutes. Then Cover these stuffed karela in gravy for 5 minutes. No Replies to "Stuffed karela (Bitter Gourd) Recipe"